You don’t need to ask me or anyone else at the NP Group twice—we are huge fans of inbound marketing! When it comes to very specific industries, however, we encounter many people who remain skeptical. This is especially true for tech companies who have a hard time believing that a methodology so content-driven can work for a field so technical. In truth, inbound marketing can work well for tech companies because the industry is so niche. Regardless of the product or service being sold, the average consumer spends more time than ever before researching their options online. When those products or services involve technology—especially technology that is new or complex—they need a lot of information before making a final decision. This is usually not the arena for impulse buys. 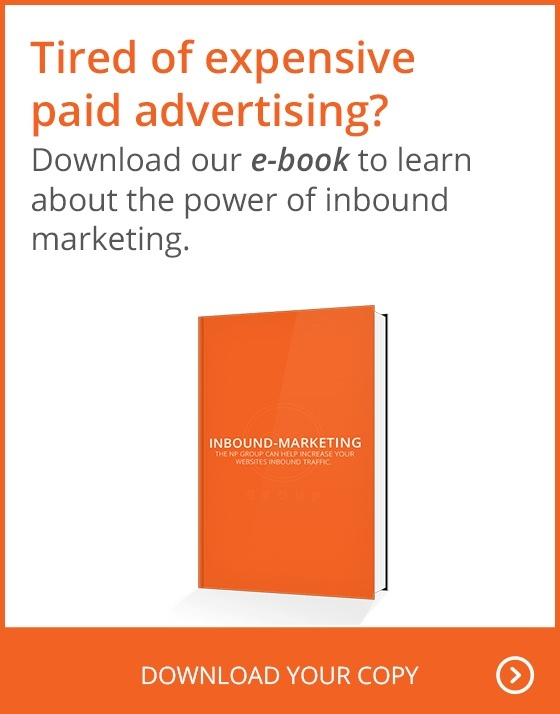 That’s where the beauty of inbound marketing comes into play. It gives you the opportunity to educate prospects and nurture them through this research process with content, placing your product/service at the forefront of their mind—and positioning you as a source worth trusting. If you want to save money on marketing costs, inbound marketing is often the most affordable option. Spending a lot of money on ads to promote specific products won’t do you any good if the target doesn’t know what that product is or how it can help them. But if they’re seeking a specific solution and you’re creating content that explains how your product or service can provide it, you have a much better chance of catching their attention. So what kind of content would most interest a tech audience? Well, for starters, you can take well-worn marketing concepts and reinvent them to attract your key demographic. Think blog content is too boring for a sophisticated tech crowd? Think again. A company blog is what you make of it—when you fill it with valuable, helpful information, it can be an incredibly powerful marketing tool. Tech is a very competitive field, and potential customers may think your product/service isn't much different from hundreds of others. If that’s the case, write articles to show exactly what differentiates you from everyone else. You can start this by talking about pain points your intended demographic typically faces. By doing a blog series on how your product/service can solve these problems, you bring value to your company. What makes this work is the fact that pain points are often recurring and tend to be fairly universal. It's enough to help you create a long series of blog posts, so you keep this kind of content going for an extended period of time. While blog posts can sum up the value of your tech products or services, videos offer the chance to show how it all actually works. Remember, human beings are visual creatures, so the better looking and higher quality your videos, the bigger impact they will make. Even better is showing a demonstration that has wowed other people at live events. Such events are often limited by location, meaning that anyone far away that is unable to attend will miss out on what’s probably one of your most polished presentations. By doing a video version of it, you’re actually able to reach a wider audience. Tech-savvy people are always on social media, and you'll want to nurture a presence at the sites where you know they hang out. Since the tech crowd is usually using mobile devices, you may want to see which social media channels work the best in this format. Posting all your content on these sites with proper and unique hashtags instantly attracts the audience you want. If you're still not sure what kind of audience you need to attract, study conversations under specific hashtags. On Twitter, this is easy to do and can help you see what people are talking about in your tech industry. You likely already know the basics of SEO, but don't forget that it's the true soul of getting your content found. Quality content always gets precedence on Google, though think about the keywords and long-tail phrases you're using. Perhaps you think you have a unique keyword. Regardless, check Google to see if it's really a stand-out. Overly generic keywords about a tech item can end up getting lost in a sea of competitors. Think uniquely and more specifically on keywords to get your product content found.